March 29, 2011 - Willie Walsh took over the reins of British Airways as CEO in October 2005, his main focus as CEO was to change the airline's labor agreements and at any cost. Needless to say this caused a great deal of turmoil for the air carrier. BA cabin crew went out on strike several times during 2010 as a result Walsh?s negative tone toward labor relations and outsourcing of labor which resulted in numerous flight cancellations, delays, an erosion of customer satisfaction and had put the merger of British Airways and Iberia Airlines in jeopardy. In January 2011 British Airways merged with Iberia (BA-Iberia) and Walsh was appointed as CEO of International Airlines Group the parent company to BA-Iberia. Despite record losses for BA and pay cuts for the employees Walsh received a raise in pay plus receiving several bonuses. Upon Walsh?s appointment to International Airlines Group Keith Williams was appointed CEO of BA-Iberia. Williams, is viewed as more conciliatory toward his employees. Williams has stated he wants the angry words of the past put behind them so that they can find a language to reflect a common purpose and indicates that he is prepared to meet with the union to seek a successful conclusion to their dispute. However, British Airways cabin crew in an effort to send out a clear message overwhelming voted to back a strike action. 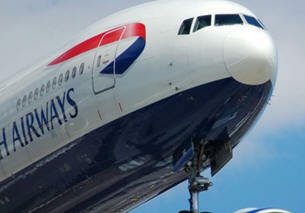 British Airways cabin crew, who are members of Unite the union, have voted to back strike action at the airline. Of the just under 10,000 crew polled, some 83 percent of the 6981 who returned valid voting papers voted yes to strike action. Unite said this vote, the fourth official ballot in two years, reflects the continued resilience among the crew who were being balloted on a range of anti-union management measures including sanctions applied to some 6700 crew who took lawful strike action last year. 1. The immediate restoration of staff travel concessions, in full, to the crew from whom they were taken. 2. Binding arbitration, through ACAS, of all cabin crew disciplinary cases related to the original dispute. 3. The restoration of all earnings docked from crew who were genuinely off sick during strike dates. 4. Full and proper discussion of the trade union facilities agreement at the company with the immediate removal of all threats and sanctions made by the company in relation to this. 5. The immediate cessation of actions taken against elected representatives of cabin crew, including; victimization; intimidation and exclusion. 6. The introduction of mixed fleet on different terms and conditions without agreement with the union. 7. The discrimination applied to union members in the allocation of part time contracts and transfers in breach of the Ops and Choice framework. 8. The company's continued and specific disregard for necessary union agreement in advance of any application of the disruption agreement. 9. The continued use of volunteer and/or temporary crew from outside the recognized NSP on both the Eurofleet and Worldwide fleets and their employment on terms and arrangements outside of existing agreements between BA and the union. 10. The company's offer of a separate pay settlement and variations to terms and conditions for those willing to accept non-negotiated changes to their contracts.